Sellers are moving on from this investment property and need it SOLD. – 5 minutes drive to local shops. This large spacious block has tremendous potential and is perfect for a growing family or a profitable investment. This property has a spacious living room to entertain guests as you come in through the door and then move through to the open plan Kitchen and dining room with an island for additional bench space. 3 bedroom perfect for a starting out family and serviced by the main bathroom with separate toilet. Outdoors is where this property shines with a spacious covered pergola area, great for relaxing or for entertaining guests. With a tiered backyard, the kids can play separately with a grass-covered area up top and the entertaining area down below this separation is unheard of in Algester. 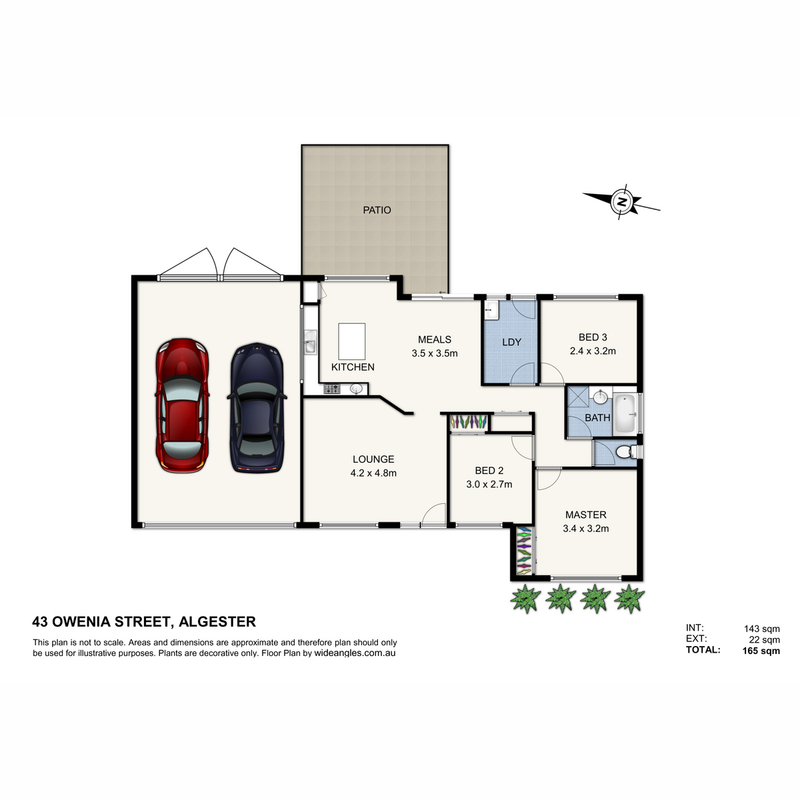 A popular floor plan throughout Algester this property has 3 bedrooms all serviced by the main bathroom and separate toilet at one end of the home whilst the kitchen, dining and lounge room are at the northern end of the property.